Get behind the wheel with Europcar and drive away with up to 1,000 Skywards Miles. Choose from over 4,000 stations in more than 140 countries. Please quote your Emirates Skywards® membership number and tier when you book a car online or over the phone. If you’re a Gold or Platinum member, you’ll earn an additional 200 bonus Miles when you book via www.emirates-skywards.europcar.com. Simply present your Emirates Skywards® membership card at the rental location to be eligible. Emirates Skywards® members can earn Miles on rentals at all Europcar locations booked through any channel. Rentals serviced by Europcar’s partners in the United States and Canada are not eligible to earn Miles. Miles are earned per rental and are issued when the vehicle is returned. Gold and Platinum members will earn an additional 200 bonus Miles when booking via www.emirates-skywards.europcar.com, and need to present their Emirates Skywards® membership card at the rental location. 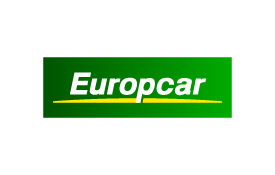 Europcar rates are inclusive of all mandatory charges, including tax, Collision Damage Waiver (CDW), Theft Waiver (TW), airport charges, and vehicle registration fee, when applicable. Mileage is usually unlimited, except in some countries or for rental products where limited mileage may apply. Please refer to Europcar’s rate conditions during the booking process. Discounts, if applicable, will be based on the basic rental rate excluding additional charges. Miles may not be earned on certain contract, tour operator, airline staff, truck, award rentals, car replacement, long-term rentals, chauffeur service, and some specific negotiated rates. Miles will be credited to the member’s Emirates Skywards® account approximately six to eight weeks after the transaction. Retroactive Miles collection is permitted only within six months of the rental.